Description : Here is a Superb Limited Edition MGM Grand commissioned On-Site boxing art poster by the celebrated world famous sports artist Richard T Slone. Only 1500 of these posters were produced for this fight & it's one of his best without a doubt, a real collectors piece that would set any wall ablaze. 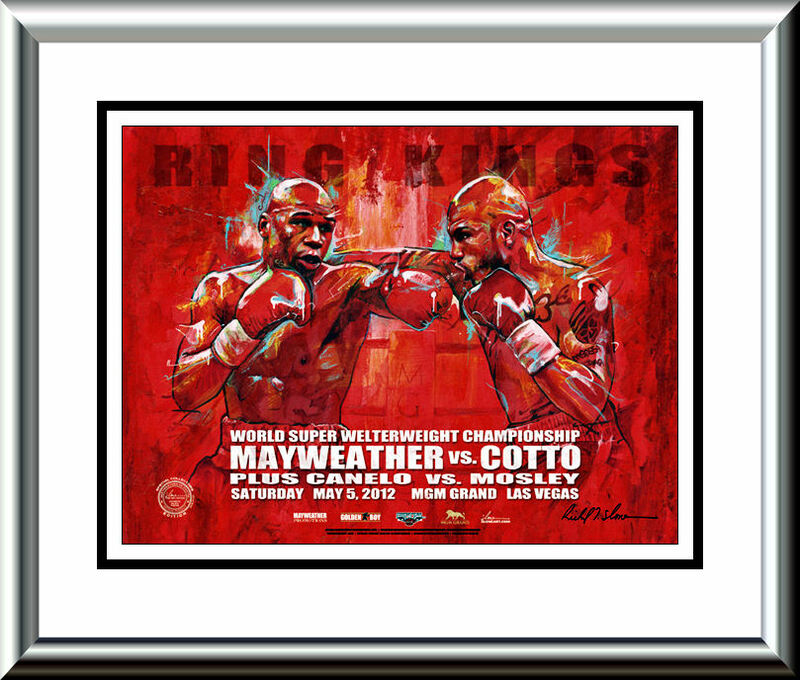 On the evening of Saturday, May 5, Mayweather defeated Cotto in 12 rounds by a unanimous decision, improving his record to 43/0. 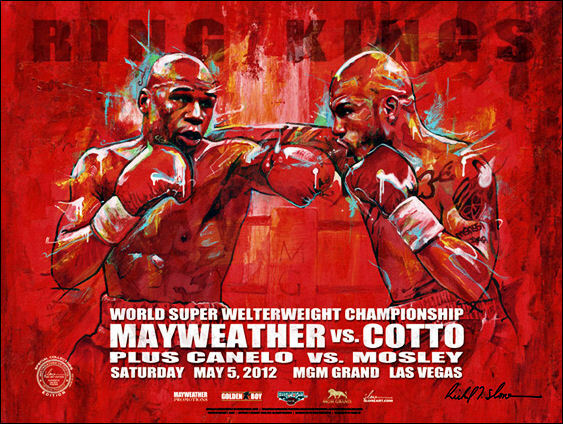 Mayweather used movement and outboxed Cotto in the middle of the ring for the first few rounds. Beginning in rounds three and four Cotto began cutting the ring off allowing for more success in landing his jab and body shots on Mayweather and effectively trapping him on the ropes. The later rounds were controlled by Mayweather, who boxed more in the center of the ring late in the fight. 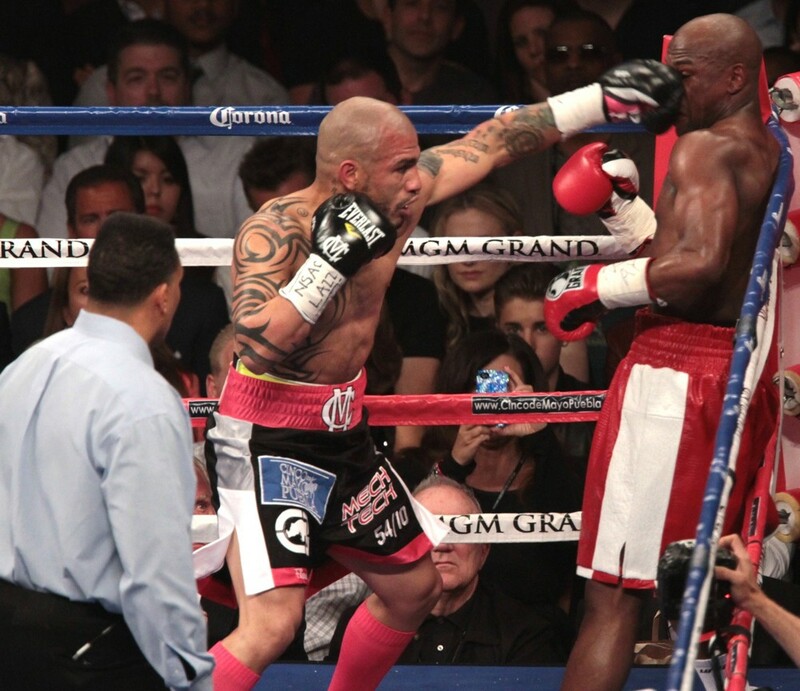 In the 12th round Mayweather's uppercut stunned and hurt Cotto, but Cotto was able to fight until the end. The judges scored the fight a unanimous decision for Mayweather by scores of 118/110, 117/111 and 117/111. After the fight, Mayweather said Cotto was the toughest fighter he ever faced.